We’re living in an interesting era where each person has the ability to have more control of their future than ever before. Starting a business has never been easier (although still not a walk in the park), and resources to learn have never been so accessible. As a hair stylist in today’s economy, each of you have the ability to control more of your destiny. Many of you might feel that the salon you’re working for should have a website and that it should suffice. 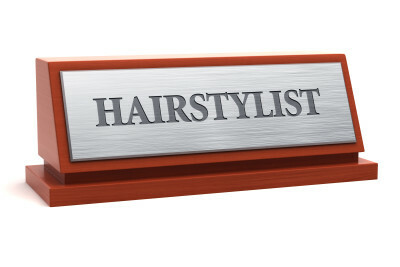 But here are 6 reasons why I think each hair stylist should have their own website. Personal Branding – No one cares as much about your business and bottom line as you do. Well, hopefully that’s the case at least. But to be successful, you need to consciously be branding yourself at all times. The reason is simple. You want your book of business to follow you regardless of where you’re working at. Create Trust – While analyzing the website traffic of our current clients, I noticed that a lot of visitors have been coming from review sites like Yelp. Essentially they are looking for credibility, and then following up with what they find onto your website to see how legitimate your business operation really is. Displays Professionalism – Having your own website is the best way to not just tell, but show your potential clients that you are a legitimate and professional business. With the attention spans becoming shorter and shorter, pictures and videos are the best way to capture someone’s attention. Findability – I initially thought I made that word up but after a quick Google search it seems like someone’s beaten me to it. The message I’m trying to convey is how critical it is for you to be found as quickly as possible. If you’ve left a salon and have moved to another one, you want your past customers to quickly find out where you’ve gone if they haven’t been in touch. Availability – You can physically only work for so many hours during the day. But us humans are interesting creatures in that we’ll be searching for the most random of things at the oddest hours of the day. When you’re not available to answer a call or book an appointment, your website will be. Exposure – Of course one of the most important benefits of having a website is added exposure. The more exposure you have, the more the odds of finding a new client will be. People can land on your pages through word of mouth, social media or search engines. But regardless of how they get here, you want to turn them into potential customers sitting in your chair. It’s important to be very conscious about what your image appears to others on the Internet. The best way to do it is to take control of the situation and have your own hair stylist website. It doesn’t have to be a major investment, but it’s certainly an investment worthwhile. Let me know if there are certain topics you’d like us to cover here at SalonNerds. We’re always listening to your input as we create these blog posts. If you enjoy reading our posts, please share them with others!